Hello, I hope you are having a lovely and relaxing weekend! As most of you know, I was away on a long trip and now that I am back home I ached for a hearty and satisfying meal. 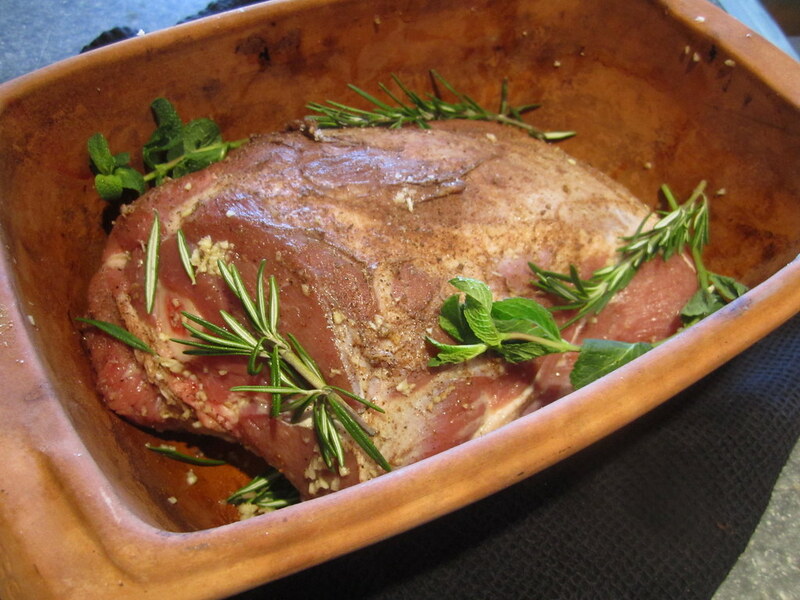 Like this luscious and easy lamb roast. This roast is perfect for a stress-free Saturday (or Sunday) dinner. I love roasted meat because it’s incredibly easy to make, but you have to be patient because it needs time in the oven to get to that perfect point where the meat is juicy and falling off of the bone. 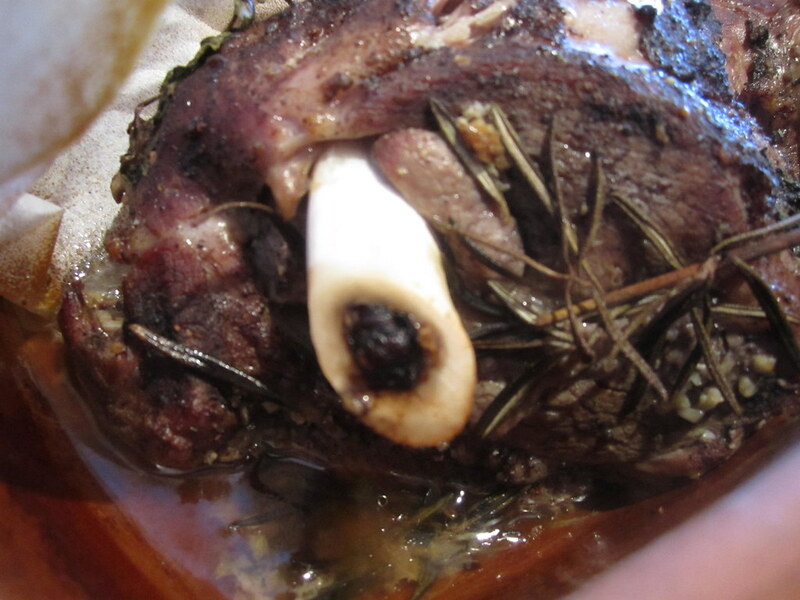 For this roast I used lamb shoulder, it’s great for slow cooking. The meat will be tender and juicy. If you are using a clay pot, remember to soak it in room temperature water for at least 15 min. Do not preheat the oven, clay pots don’t react well to sudden temperature changes. Mix water and vinegar in a cup and sprinkle this on the meat. Next massage the garlic, spices, salt, and pepper into every crevice of the meat. 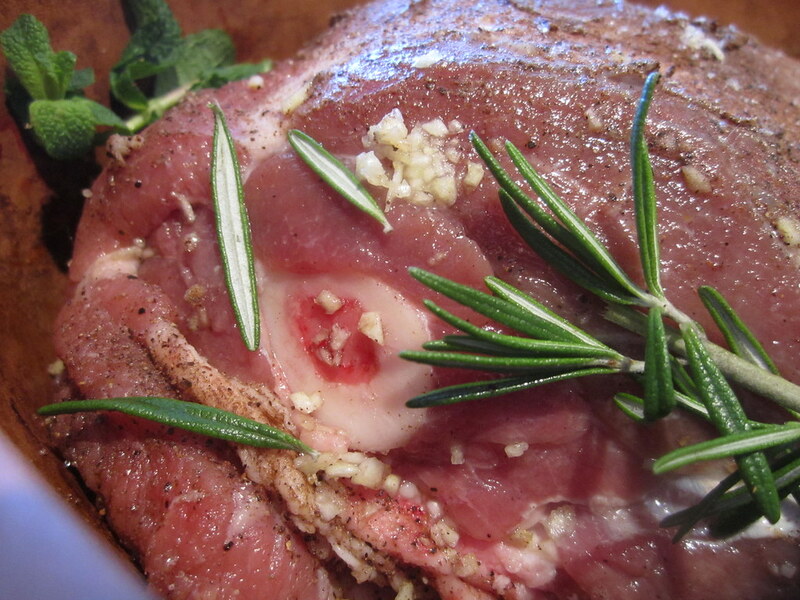 Place some sprigs of rosemary and mint inside the clay pot below the meat, and some above and around the meat. 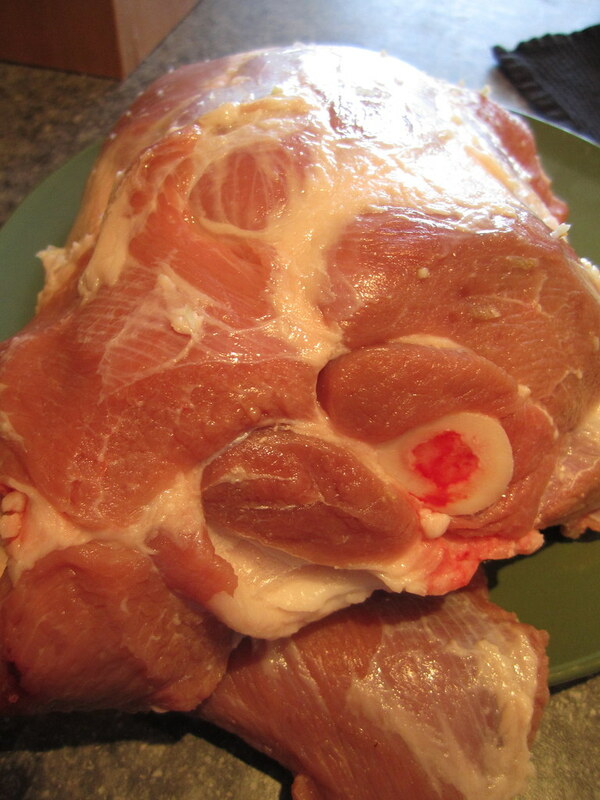 Cover the meat with parchment paper, this will help retain more moisture. Close the lid and place it in the oven at 350-375° F for 2.5 to 3 hours. And that’s it! Easy right? You wont believe how good it tastes!! * This spice mix is a combination of several spices commonly used in arabic cuisine. The spices used vary according to each country. However, most of them contain cumin, cinnamon, nutmeg, cloves, coriander and ground cardamom. This is just perfect for Easter dinner today. I’d love to see more roasting ideas for clay pot cooking. I always love the results from the clay pot but some recipes seem too overly complicated. You’re right, this roast is great for Easter! 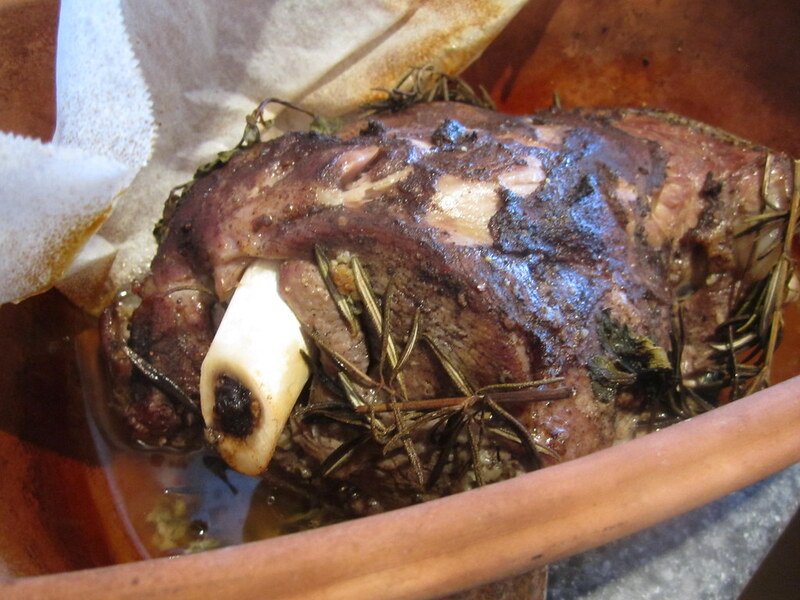 I love using our clay pot, especially for lamb and beef- the meat comes out juicy and tender. This recipe is very versatile you can add veggies if you want (Iike onions, potatoes, eggplant) or different herbs (like oregano instead of mint). I’ll try posting more clay pot recipes. Hope you have a happy Easter!